To further boost the visibility of Air Seychelles and destination Seychelles in South Africa, Air Seychelles together with the Seychelles Tourism Board (STB) chaired a media conference at the Saxon Hotel in Sandton to provide up-to-date information about the airlines’ plans for the South African market as well as the state of tourism in the Seychelles. 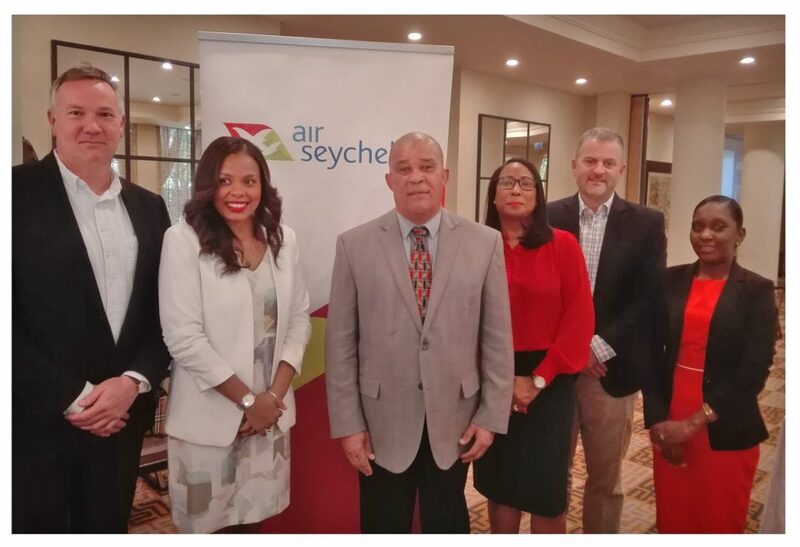 The national airline was represented at the event by Chief Executive Officer Remco Althuis and Chief Commercial Officer, Charles Johnson whilst Mrs. Sherin Francis, STB Chief Executive and the Regional Director for Africa and America’s, David Germain represented the Seychelles Tourism Board. Highlighting on the state of the Seychelles Tourism particularly for the South African market STB Chief Executive, Sherin Francis said: South Africa is a market which compliment a very important part of our strategy which is to sustain our hostels during the period we considered as the low shoulder period for Seychelles given the peak travelling period are almost quite opposite to that of the European.